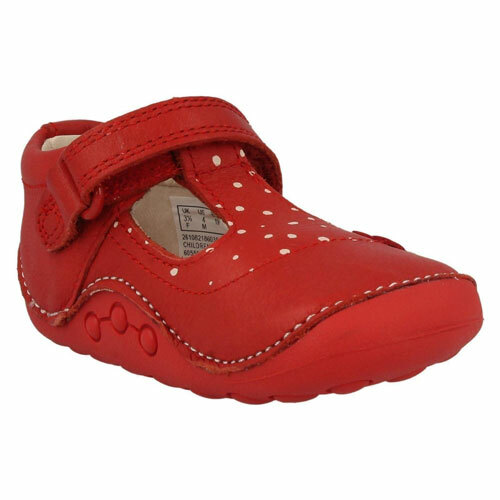 Clarks Little Linzi girls T-bar shoes are a leather pair designed to support pre-walkers to those all-important first steps. 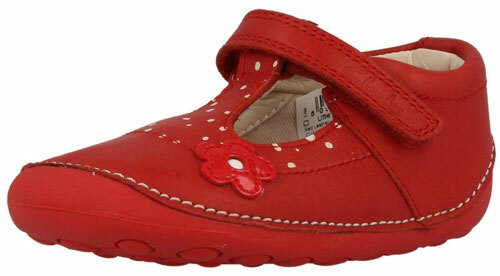 Crafted from the softest premium leathers, the Clarks Little Linzi girls shoes feature padded toplines and easily adjustable riptape fastenings for a comfy and secure fit. 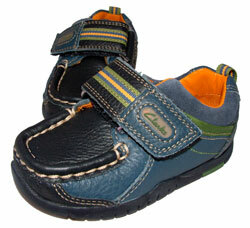 Rubber soles underfoot are flexible and supportive, with toe bumpers helping to protect tiny toes when crawling. 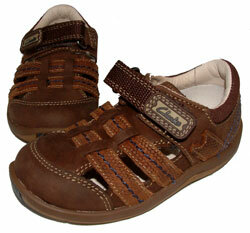 With a soft suede sock inside, the Clarks Little Linzi girls prewalkers promise all-day comfort. Finished with a pretty polka-dot design and flower applique, they’re cute too!